Then I built Succeed with Money for you because I believe...every entrepreneur deserves to open their bank account and love what they see. How would it feel to be financially confident and empowered? Before we dive into the steps to Succeed With Money, this isn’t another “ra ra, you can do it!” coaching program. Getting motivated is great, but it doesn’t help you make or keep money and I’m not that type of coach. 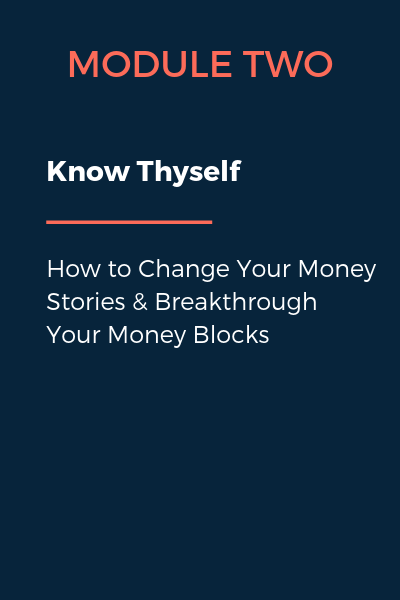 I care about helping you transform your relationship with money so that you can have the things you want in life…without the guilt, shame, or embarrassment. As an entrepreneurs it's too easy to work in “scarcity mode” as you need to hit certain money goals each month in order to survive. Living in survival mode in your business is killing your business because it keeps you living month to month. This is exactly how I ran my business for years and it hurt every aspect of my life. This scarcity cycle kept me financially trapped and filled with uncertainty month after month. I could never quite get ahead and no amount of money ever felt like enough. I would sit in my office and feel the embarrassment and shame come over me. Thinking about my wife, my family, my employees and how I was letting everyone down. I felt so heavy, numb and frozen in fear. I struggled in silence and put on a brave face. I was sick and tired of dreading opening my bank account. I decided that I never wanted to feel that way again when I opened my bank account. · What does lift you out of scarcity? · What allows you to pursue the opportunities you have been saying “one day I will…”? · What will break the bank balance blues cycle once and for all? 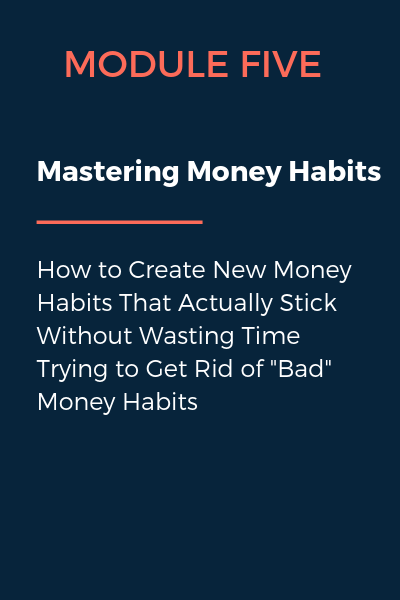 I want to introduce you to the exact process I used to break free of the feast/famine cycles that kept me financially trapped and finally helped me Succeed with Money! 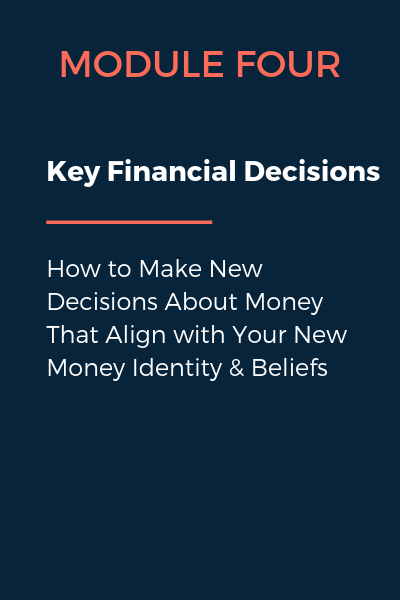 The next Succeed With Money Transformation Program begins Monday March 4th, 2019. I will send you an email with your login and password information. How do the Live Video Calls Work? You will receive a link to join the live video chat. Don’t worry, if you have to miss it, they will be recorded and you will have an opportunity to get your questions answered. You will be able to email me your questions prior to the Live call and I will answer them so that they also get recorded. Once you enroll the first payment will be made. Each of the following 5 payments will be charged 30 days apart.